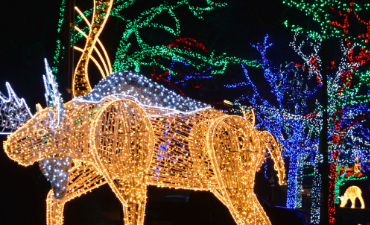 Part of the OPG Winter Festival of Lights Canadian Wildlife displays at Dufferin Islands visitors can marvel at the life-sized 3D light sculpture of a Moose. The Moose is a signature and popular display enjoyed by many. This and many other wildlife displays can be seen at Dufferin Islands and along the Niagara Parkway.